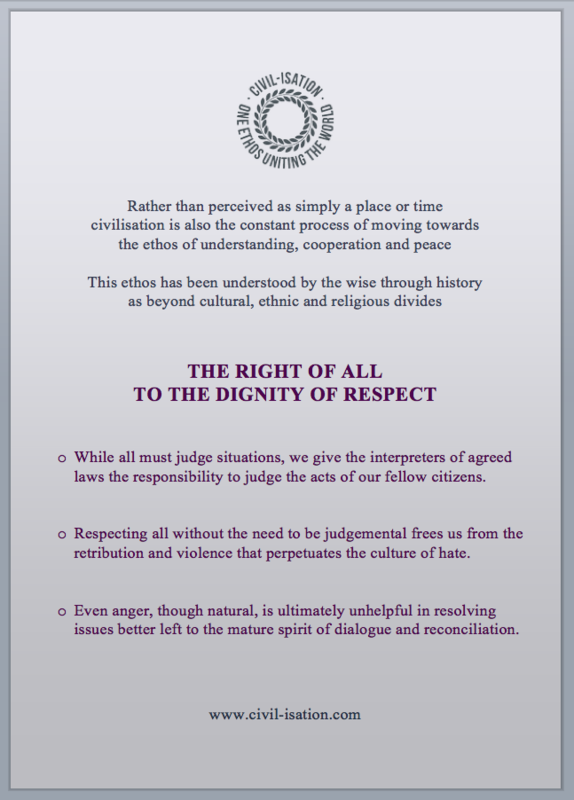 FREQUENTLY ASKED QUESTIONS - Can I respect everyone? 🌐 Why's it for me? 🌐 What if I'm an Atheist? 🌐 Aren't there many peace organisations? 🌐 Why start this campaign now? 🌐 Isn't greater respect unlikely as people are naturally selfish and greedy? 🌐 How can giving universal respect really make a difference? 🌐 How could I possibly give respect to everyone? 🌐 Don't people have a right to respond in kind to violent attack? 🌐 Surely anger is natural and helpful? 🌐 So What is democracy? 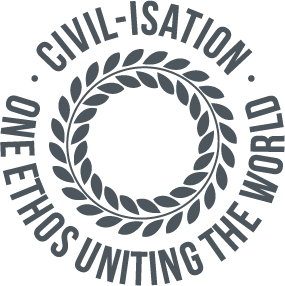 🌐 What does CIVIL-ISATION intend to do? that upholds human rights and human dignity as well as human responsibility."